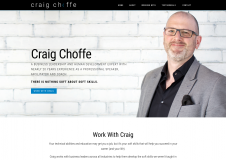 Craig Choffe is a Leadership Development Expert, “Soft Skills” Specialist, and a Facilitator with Global Experience at the senior/executive level. 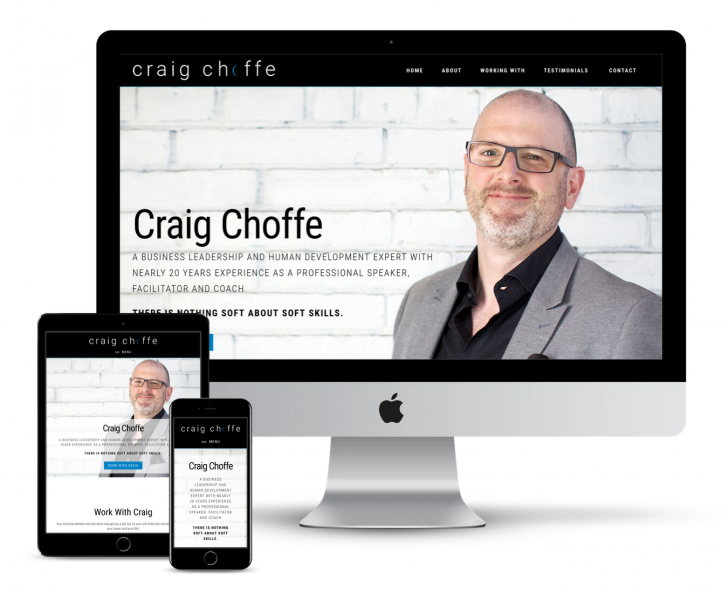 The goal of the new website design was to create a fresh, clean site that would align his brand with the first-class clients he works with. 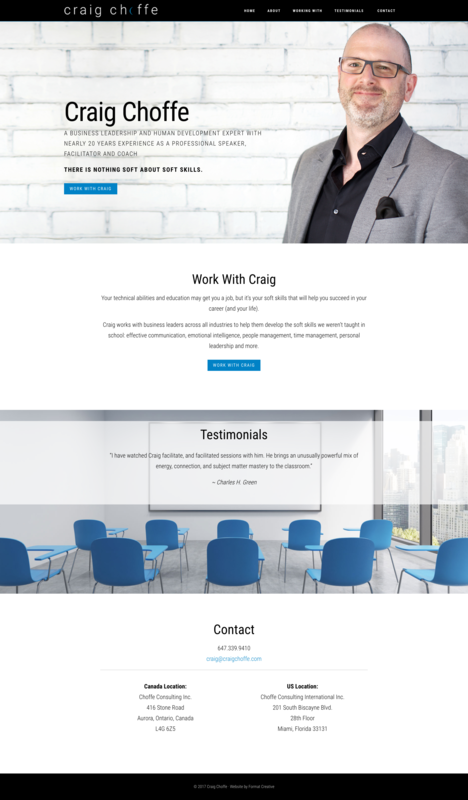 We accomplished that by creating a clean, minimalist website that directs visitors to Craig’s accomplishments and supporting social proof. 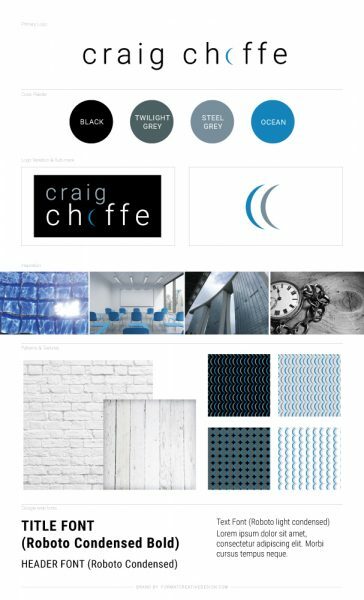 We kept things clean, simple, and modern…allowing Craig to be the focus. “All I can say is WOW! Love the end product and the process was uber professional and seamless. Craig already had a great logo, it just needed some other branding elements, and a bit of a font refresh to bring it up to date. So we created a modern, monochromatic colour palette of cool greys with a pop of bright blue to support his minimalist style — inspired by some of the photos he took while speaking around the world. We kept it simple by choosing one strong, confident font used throughout. We also introduced the idea of using the half-moon repeated for a sub-mark, echoing the initials of his name.